In 2014, ULC successfully completed the land acquisition and exchange with the Regional Transportation District (RTD) for the land adjacent to the Sheridan light rail station as well as ULC’s Jody Apartments. 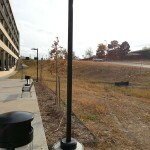 Additional land was critical to maximizing development potential at the station site. Future development will provide affordable opportunities for housing along a rail station. ULC is currently working with development partners Brinshore and Mile High Development. Development plans are underway for the Sheridan Station Residences – 133 units of affordable housing on one of the two land parcels. Ultimately, the second piece of land will provide an additional affordable housing development opportunity during the second phase of development. Overall, this land will provide affordable opportunities along a transit corridor, furthering ULC’s mission of true affordability.